A climber nears the top of First Ascent's 60-foot wall. AVONDALE — Chicago's newest and tallest gym dedicated to climbing challenges rock climbers to scale a six-story wall on the site of a former industrial plant. 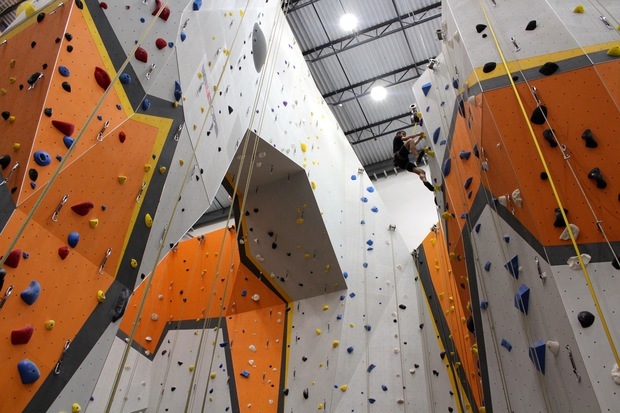 First Ascent, a project five years in the making, opened its first, 25,000-square-foot location in Avondale (the company calls it Logan Square) last week. "We wanted to bring world-class rock climbing to Chicago," said 32-year-old Jon Shepard, one of four founders. "The sport is one of the fastest growing sports in the country." 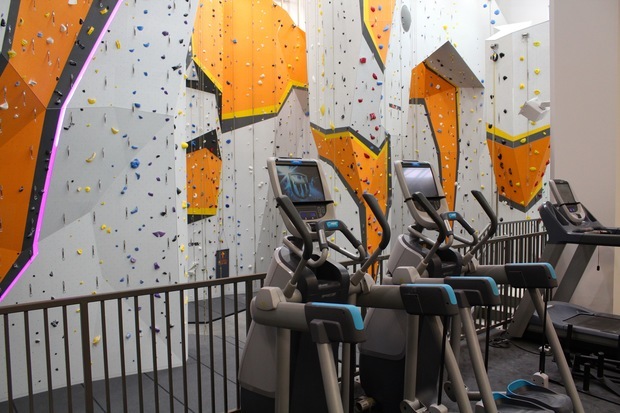 Some of the gym's highlights include the 60-foot-tall wall and an arch the connects two walls 45 feet above ground. 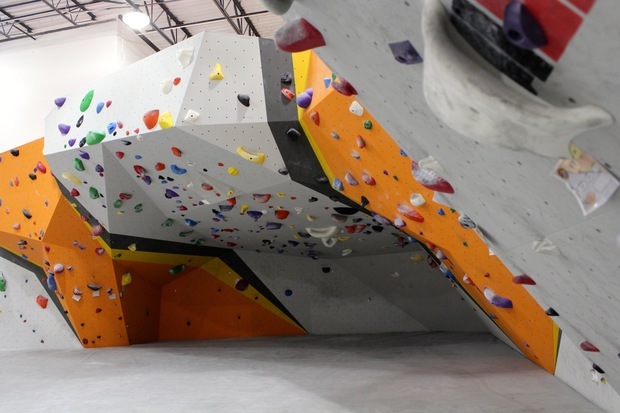 An upstairs portion of the gym features a bouldering space, where climbers can scale artificial boulders without a rope. Traditionally climbing gyms resemble a dark, dreary cave. 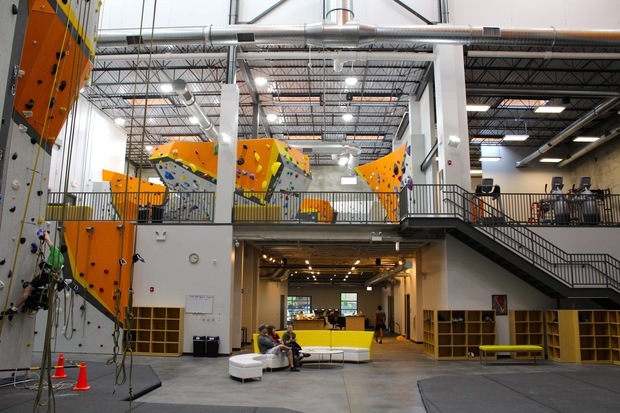 While First Ascent does feature a cave-like feature in the bouldering section, the space is bright, modern and airy. The main gym features three cracks that run the length of the wall to simulate outdoor climbing as well as a speed wall for timed races. “There’s usually a mental aspect to it," Shepard said. "It’s not just physical. We put a lot of thought in setting climbs that are interesting, fun, kind of tricky to solve." Shepard, a Lincoln Square resident, said when he moved to Chicago five years ago he was shocked there were no climbing gyms. "The reason it was slow to get here is that indoor climbing used to be training for people who climb outside," he said. The flatlands of the Midwest don't exactly breed rock climbers. "Indoor climbing has now become its own sport," he said. 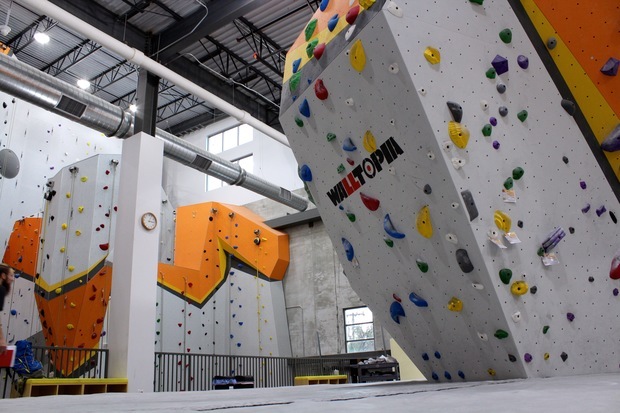 The tallest climbing wall in the city, 110 feet tall, is located at Lakeshore Sport & Fitness's Illinois Center location, 211 N. Stetson Ave.
First Ascent, 3516 N. Spaulding Ave., also plans to host a youth climbing team and provide professional-level training for competitions. The company plans to open a slimmed-down facility in Uptown later this fall that focuses on bouldering. They are billing it as a 7,000-square-foot "bouldering paradise" in the former Borders building at 4718 N. Broadway. Membership to the gym, which also includes access to yoga classes on site and a fitness center equipped with cardio and weight training equipment, is $75 per month. Avondale resident Jorge Ortega said though he is an inexperienced climber, after just a week of climbing at the gym, he's falling for the sport. "It's a total body workout," Ortega said. "I'm feeling sore in places I haven't felt sore in for a while." • An earlier version of this story incorrectly stated the First Ascent wall was the tallest in the city.